From studio discoveries to the stories behind genre-defining sounds, The Sound is an exploration into the creative process of today’s innovative artists. Now, following Detroit’s annual Movement Festival, we’re featuring producer-curated sample packs, contests, and interviews with the leading voices in Detroit techno and house. 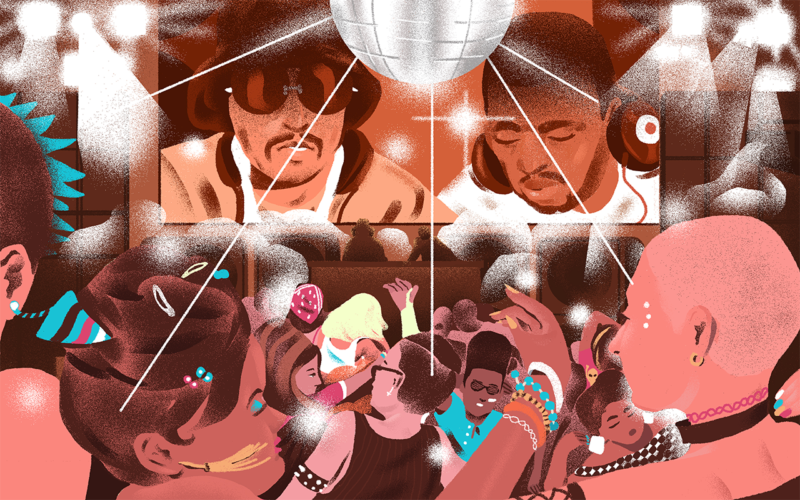 We conclude our three-part editorial series with an exploration of Detroit techno and house from the 2000s to give you an insight into the DNA of music that changed the world. Another key figure in the realm of Detroit house music, Omar S landed firmly on the map with the velvety 2004 A-side, “Day.” Calling to mind the glow of classic Motown with a sunny Supremes sample, the track reminds us of Detroit’s softer side after years of angular sci-fi. Enter Kyle Hall, one of the greatest talents in Detroit’s new wave of house producers. Born in ‘91, Hall came on the scene as Detroit’s wunderkind, quickly achieving approval from luminaries Theo Parrish and Moodymann. Warm and colorful, Hall’s music operates at the intersection between deep house and boogie, effortlessly putting forth a vibe time and time again. When the 19-year-old Hall dropped “Solar Funk,” the world was faced with a new warm and naturalistic Detroit sound. Sampling the southern gospel song of the same name, Robert Hood pours the religious spirit of Detroit into seven minutes of minimal techno euphoria. On “Never Grow Old,” Hood harnesses the focal points of his technique that paved the way for Berlin techno in the 90s: highly organized utilitarian rhythms and patient evolution. Detroit’s brightest young star today alongside Kyle Hall is Jay Daniel, a prodigious DJ who proved on his latest album that he could stretch the possibilities of dance music with loose, live instrumentation. Tiring of pressing buttons, Daniel picked up his drum sticks and went analog on his first offering for Ninjatune, which lives up to the richest tracks in Detroit’s mesmerizing legacy. We invite you to dig deeper. Erin Rioux Erin Rioux is a record producer and co-founder of the New York label Human Pitch. As a member of the Splice team, Erin creates sounds and content.